Alan Manning, professor of linguistics at BYU, discusses his new article about the evidence he believes points to a Mormon girlfriend in Twain’s past. PROVO, Utah (Sept. 27, 2017)—In 2003, Alan Manning, a linguistics professor at BYU, got an email from his colleague Nicole Amare, an English professor at the University of South Alabama. While reading Huckleberry Finn, she had noticed possible parallels between the character of Old Boggs and Lilburn W. Boggs, the Governor of Missouri who signed the “Extermination Order” against Mormons in 1838. That was the beginning of years of teamwork and research between Manning and Amare on Mormon themes and symbols in Twain’s writing. 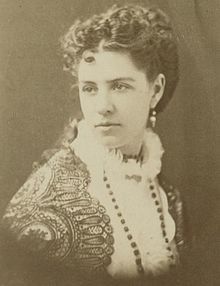 Most recently, they published The Mormon Entombed in Mark Twain’s Heart: Ina Coolbrith and Samuel Clemens. As the title suggests, it examines the possibility of a relationship between Coolbrith, a disaffected Mormon poet living in San Francisco, and Twain, a young writer who met her while living there. Ina Coolbrith, Joseph Smith’s niece, was only three when her mother left the Mormon community after Joseph’s death. When her mother eventually married again, Ina moved with her family to California. She used her mother’s maiden name and did not publicly associate herself with her Mormon family. Extensive letters between her and her first cousin Joseph F. Smith, however, prove that she was well aware of Mormons and well versed in their doctrine and theology, which she almost certainly discussed with Twain. Ina and Twain never married—she left him for another man, after which Twain abruptly left San Francisco. 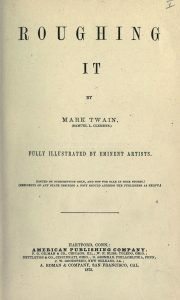 However brief their time together, the evidences of their relationship can be found in the form of Mormon references scattered throughout Twain’s work. Manning and Amare believe that in a way, his fascination with a religious culture ultimately stemmed from his fascination with just one woman. Olivia covers news for the Linguistics Department of the College of Humanities. She is a senior pursuing a degree in French language with a minor in international development.